Seaford were left ruing a string of missed chances as Inchicore Athletic's substitutes changed the game in the final 20 minutes to secure the three points. The visitors were solid defensively and lively in attack throughout, and will be wondering how they weren't two or three goals to the good before Core's late comeback. Inchicore's Sean Berry was the first keeper to make a save, clawing Mike O'Neill's instinctive shot away from the corner of his net after good work from Gavin Walsh and Stephen Canavan to create the opporunity. Seaford were centimetres from opening the scoring on 14 minutes when Canavan's splendid curling effort crashed down off the bar before hitting Berry on the back, and the Core keeper managed to grab the ball before it crossed the goalline or was forced over the line by the onrushing Sam Browne. The hosts' best chance of the half fell to Jack Cronin, who met a big diagonal ball with a side-foot volley, but steered it just past the far post. Seaford hit the front early in the second half when O'Neill got on the end of David Higgins's free kick and made no mistake from close range. It was almost two minutes later when Darragh Connolly ran on to a long pass from Fionn Lawlor, but Berry did brilliantly to deny him, and Higgins was unable to find the net with the rebound. The visitors were still creating the best chances. Twice Higgins picked out Andy Roe on the right wing, twice Roe burst into the danger area, but his first attempted cross was claimed by Berry and his second was almost inch-perfect, with Canavan just unable to tap in from close range. Core introduced star striker Stephen Kinch off the bench, and he was the architect of their equaliser, running at the Seaford defence and firing a low shot off the near post, and David Glennon pounced to force the ball over the goalline. Seaford went straight up the other end and were agonisingly close to retaking the lead when Canavan laid yet another right-wing ball across the six-yard line, but this time it was Oli Wright, at full stretch, who couldn't quite get the right connection from point-blank range. Instead, it was another Inchicore substitute, Joel Sala, who was the match-winner volleying in a right-wing cross with five minutes to play. 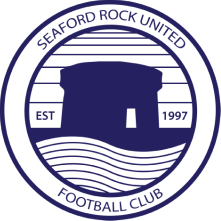 The win moves Inchicore into the promotion spots at Seaford's expense, but the navy blues will have the opportunity to leapfrog their hosts by winning games in hand.